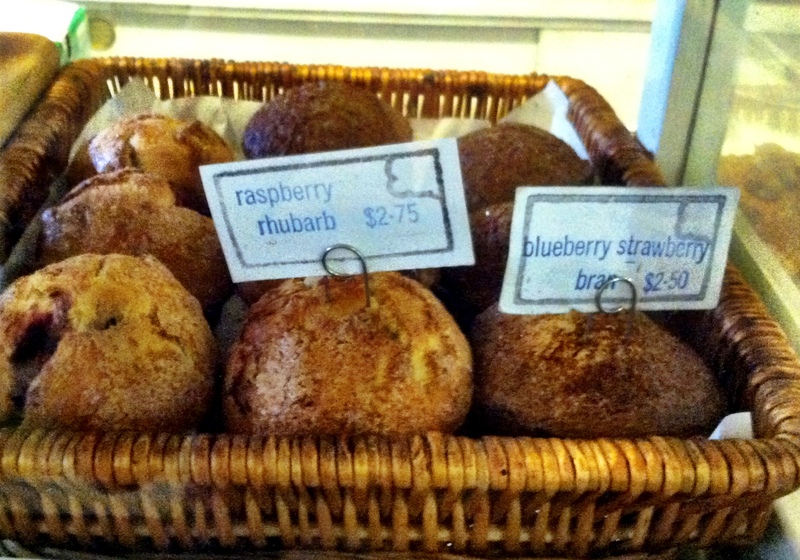 Blue Sky Bakery is a Park Slope institution known for their killer muffins. The combinations are crazy and crazy-delicious. Some of the variants you might come across are: pumpkin apple walnut, zucchini raspberry chocolate chip, carrot cream cheese cranberry. Really, there is no limit to the muffin imagination here. It’s my special happy place. The cream cheese muffins are my favorite, but unfortunately for me (or fortunately, given that I was fresh off a dairy-free diet), there were none to be had that day. 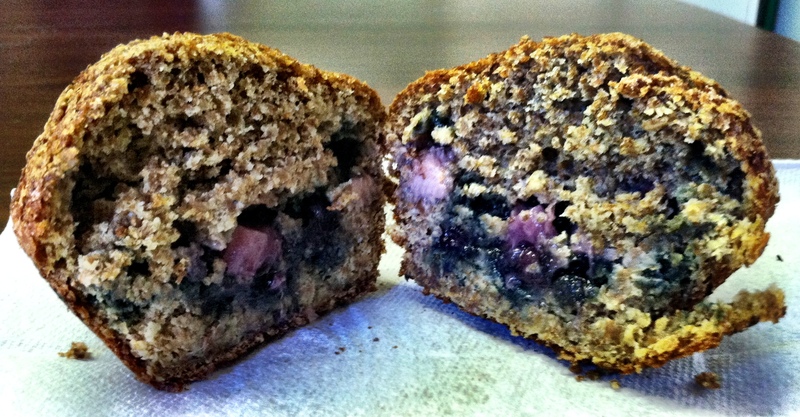 Instead, I tried to be “healthy” and opted for the blueberry strawberry bran muffin. 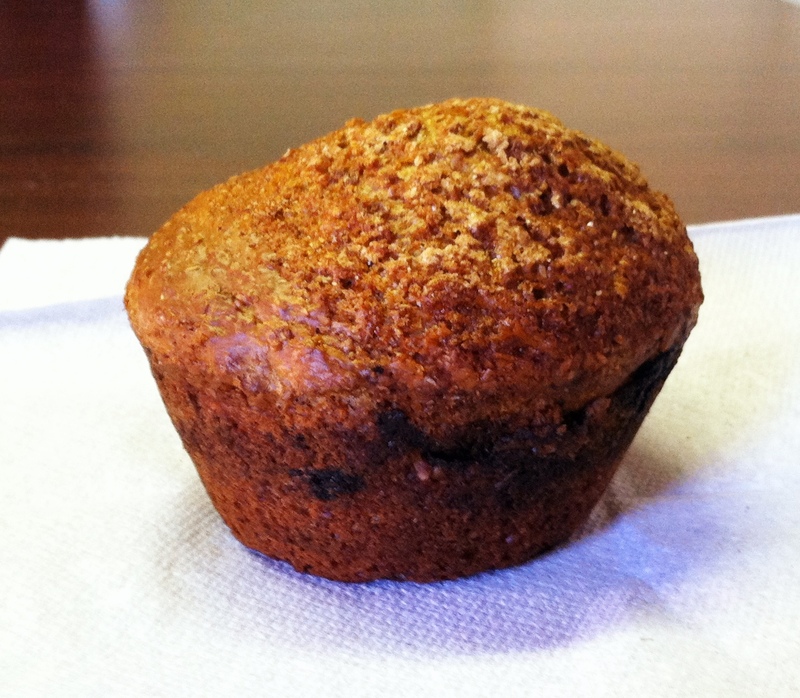 Unlike many other muffins, the BSB representatives do not have fruit disbursed throughout. 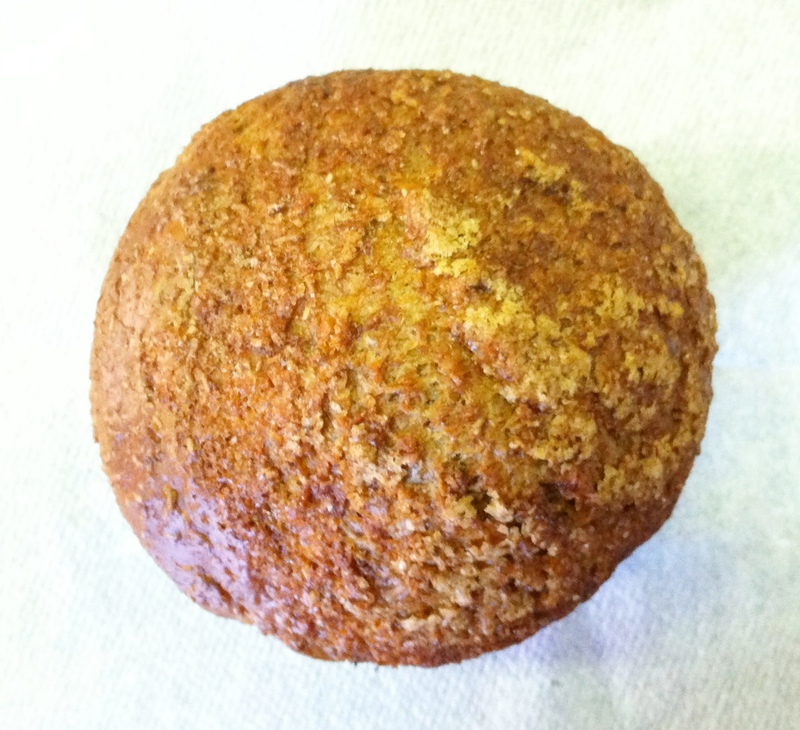 Instead, the fresh fruit tends to descend and congregate near the bottom of the muffin, like a stuffed quick bread (if such a thing ever existed). I go both ways on this preparation, but sometimes it can be awfully nice to have a little pocket of fruity goodness. Blue Sky keeps some peculiar hours; they close at 2:00 PM every day, which can make it hard to linger over a late morning muffin on the weekend. But if you look hard, you can find their muffins hiding all over the city. So far, I’ve seen them at Greene Grape Provisions in Fort Greene and at Birch Coffee in the Flatiron District. If anyone has any additions on where to scout these out, please let me know in the comments! You never know when a muffin craving will hit.